﻿ How does Ronaldo compare to footballing greats? 03.10.2017 » How does Ronaldo compare to footballing greats? How would you rate Cristiano Ronaldo among the greatest players of all time? Hasn't he done enough to deserve seeing his name featuring alongside the likes of Pelé, Maradona or even Johan Cruyff? While Cristiano Ronaldo is rightly recognized by all serious commentators as one of the greatest footballers of his generation, he is too often overlooked when lists are being drawn up of the all-time greats. Of course, his name is never entirely absent from such discussions, but, at the same time, it's arguable that Cristiano Ronaldo still doesn't get the recognition he deserves in the grand scheme of the game despite everything he has achieved so far and the incredibly talented player he has proven out to be on the pitch. One reason may be that it is unusual to have two players who so clearly tower above the rest of the competition in one generation. 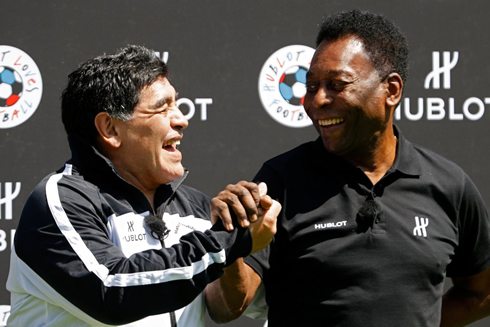 Those two are of course Ronaldo and Lionel Messi, and perhaps when they are compiling lists of the all-time greats, pundits feel that they can only choose one current player. No one is denying that Messi is one of the greats, but it's wrong to single the Argentinian athlete out at the expense of the Portuguese powerhouse. Both would have been standout players in any era, and with the benefit of proper perspective – say, 50 years from now – Ronaldo's record will surely speak for itself. Diego Maradona stood head and shoulders above his peers in the 1980s, yet his trophy cabinet looks sparse compared to that of Ronaldo. 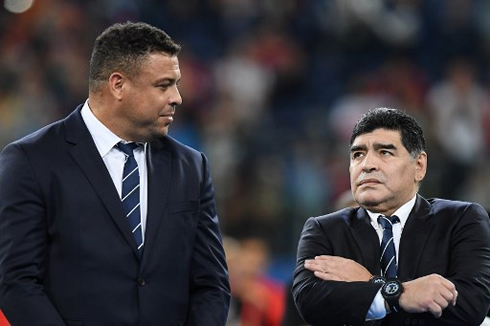 A brilliant player who arguably squandered his talent later in his career, Maradona may have scored two of the greatest goals ever, in the 1986 World Cup, winning the tournament for Argentina, but he was a force of nature that could never be reliably harnessed, whereas Ronaldo is more like a perfectly oiled machine on the pitch. 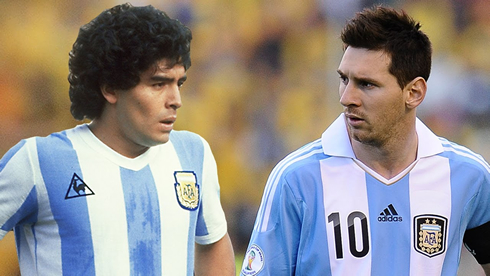 Detractors will point out that neither Messi nor Ronaldo have ever won a World Cup. In Ronaldo's case, one might put this down to an accident of birth. Portugal has never done well in World Cup competitions historically, and Ronaldo cannot be expected to single-handedly lead his national team to victory against all odds, nor can he keep them in the tournament long enough to rack up an impressive tally of goals. In any case, World Cup wins are not the only measure of a player's worth, by any means. Ronaldo is performing miracles week in, week out at club level, and where once 30 goals in a season was seen as the best any player could hope for, Ronaldo routinely achieves this by mid-season, and in the last five years has averaged 50 plus. Real Madrid is heading into the 2017/18 season as title holders and favorites to win La Liga again. Backed up by some impressive new signings, such as Theo Hernandez and Dani Ceballos, Ronaldo has successfully transitioned to the center forward position and remains the driving force at the club. His exceptional performances at the end of last season were pivotal in securing Los Blanco's their 33rd League title, and despite a five-game suspension at the start of this season, there's no reason to think he won't push them to even greater heights this time out. Let's look one more time at Ronaldo's impressive statistics, and how they compare to the player considered his chief rival. Between 2008 and 2007, he's won the FIFA Balloon D'Or four times, a record beaten only by Messi, who has won the award five times. Messi however, was eligible for longer, winning the coveted trophy for the first time in 2004. 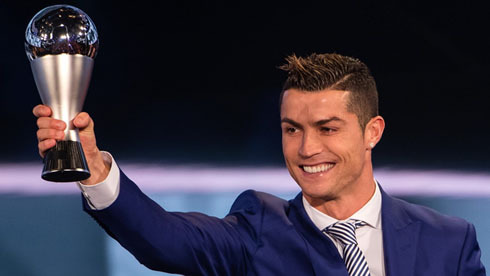 Ronaldo was the first player to win four European Golden Shoes, although Messi has since equaled this. Ronaldo has won 24 trophies, including five league titles, four UEFA Champion's League titles and one UEFA European Championship. On this count, Messi is currently slightly ahead, with 29 trophies, including eight La Liga titles, four UEFA Champion's League titles and five Copa's Del Rey. Both have scored over 600 goals in their career, but Ronaldo holds the record scored for the most official goals scored in the top five European leagues (372), the UEFA Champion's League (109), the UEFA European Championship (29) and in a UEFA Champion's League season (17). Ronaldo's great strengths are power and determination, and perhaps these are the reasons why he's not as well loved as Messi, even though he automatically commands the utmost respect. Ronaldo is a virtual goal-scoring machine, a tireless perfectionist who constantly pushes himself, but does not have a reputation as a team player. Messi is seen as more human and more likeable. He is not a romantic hero or a tragically flawed genius like George Best or Diego Maradona, or an artist on the pitch like Pelé. But Ronaldo is a more reliable and consistent player than any of these, and this is why in the long term his reputation can only rise. Cristiano Ronaldo next game is for Portugal on October 7 of 2017 against Andorra. You can watch Juventus live stream, Andorra vs Portugal, Bolivia vs Brazil, England vs Slovenia, Scotland vs Slovakia, and Northern Ireland vs Germany, all matches provided from our soccer live game pages.